Get the latest facts on our new, updated program Banting 2.0 and the four phases charting your journey to awesome weight and health. William Banting was a British undertaker who was very obese and desperately wanted to lose weight. In the year 1862 he paid a visit to his doctor, William Harvey, who proposed a radical eating plan that was high in fat but included very few carbohydrates. By following this eating plan Banting experienced such remarkable weight loss that he wrote an open letter to the public, the “Letter on Corpulence”, which became widely distributed. As more people started following this eating plan to lose weight, the term “banting” or to “bant” became popularised. What are we designed to eat? Banting merely discovered what human beings were designed to eat: what early humans ate 200,000 years ago. Respected biologists, geneticists, paleoanthropologists and theorists believe that human genes have hardly changed since human beings began their journey on earth. If you could put the entire human history into one day, we have only been eating cereals and grains for five minutes and sugar for five seconds, a very short amount of time in our existence. After the success experienced by William Banting on this low-carb, high-fat eating plan, the “banting” diet became the standard treatment for weight loss in all major European and North American medical schools. But in 1959 it was excluded from all the major medical and nutritional textbooks. In 1977 the US government published the Dietary Goals for the United States, a set of guidelines that advocated a diet high in carbs and low in fat, exactly the opposite of the diet we have been following for much of our existence. It was decreed that we should eat six to eleven portions of grains per day and that sugar was absolutely fine to add to everything. This diet was subsequently adopted across most of the Western world and a plethora of low fat-food products hit the shelves. This has had a disastrous effect on our health. Since the early 1980’s the incidence of obesity and diabetes has risen rapidly. Can we really call this a coincidence? But don’t we need carbohydrates to survive? This might come as a surprise, but of the three macronutrients in our diet (protein, fat and carbohydrates), only carbohydrates are non-essential for human life. We cannot function properly for more than a few days without eating fat; without an adequate protein intake, we develop protein-calorie malnutrition within a few months. But avoiding carbohydrate has no short- or long-term effects on humans, other than the (usually beneficial) effect of weight loss, especially in those who are the most overweight. While we need a constant supply of glucose, it can be produced by the liver from fat and protein and doesn’t need to be ingested as carbohydrate in our diets. The usual refrain of anyone looking at banting for the first time is “but what about my cholesterol?” There is much evidence to support the fact that cholesterol is not the culprit in heart disease. A bit like a policeman being at the scene of the crime being blamed for the crime – cholesterol will only adhere to a ‘leaking’ artery wall which is damaged by inflammation – to protect you. By living on carbs and sugar those arteries remain inflamed. Sugar is the most inflammatory thing you can put into your mouth, and will continue to rob you of perfect health. Grains are turned into sugar by the body. 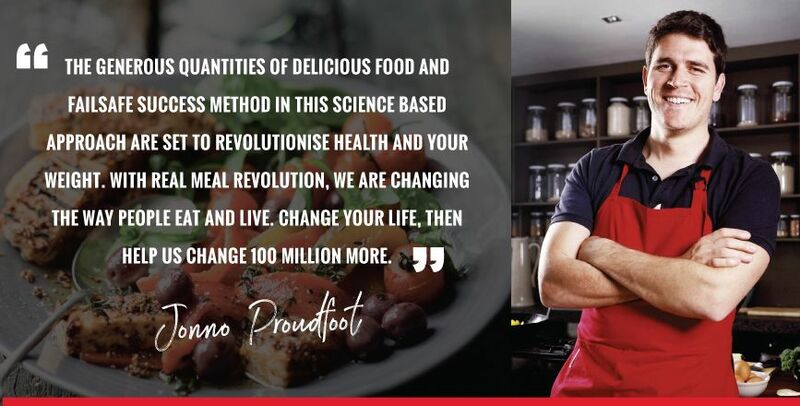 So a high carbohydrate diet will always foster inflammation in the body, not only in the arteries but the brain, liver, digestive tract and joints leading to many of the chronic diseases we see today which are supposedly ‘incurable’. Many people report relief from all the above in a relatively short time after adopting the Banting lifestyle. There is a wealth of information and research into why following the Banting Diet, will help you lose weight, improve a number of common ailments and increase your energy levels. We have provided a number of resources below. 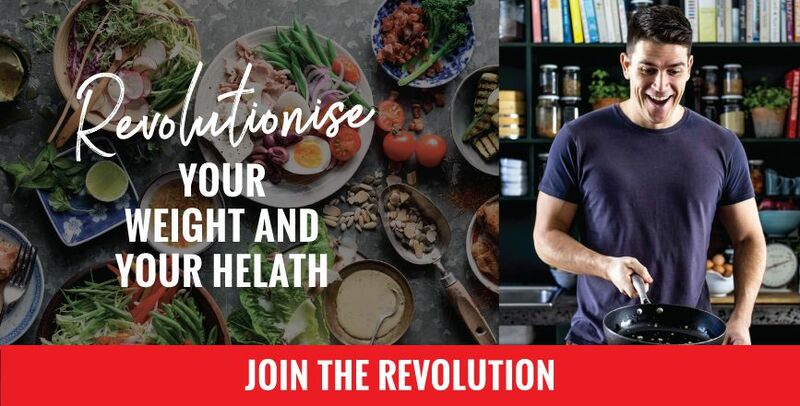 The Real Meal Revolution book provides in-depth information, practical guidelines and delicious recipes. We also run an interactive online program . The program consists of video lectures, a variety of tools to support you on your weight-loss journey, a host of recipes not provided in the book, cooking lessons, interaction with other participants in the forum and more.